Here is pretty simple pattern calls Sunflower Shades. 1. In the left corner draw a semicircle (curved line). 2. Add the first row of triangles (V symbols). 3. After that, continue drawing V symbols line by line. TIPS: You can draw next row a little bigger in size than the previous one. 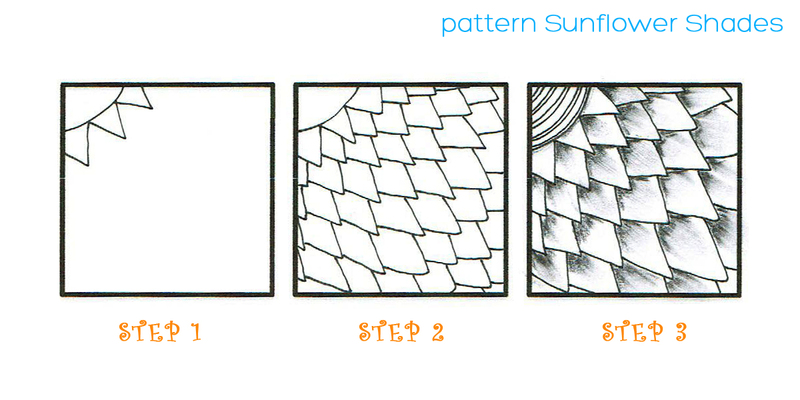 This trick let you add some visual illusion to your pattern. 4. Lights and shadows visually define objects. Adding shadows to your drawing is the way to get depth and the magical illusion of three-dimensional reality. 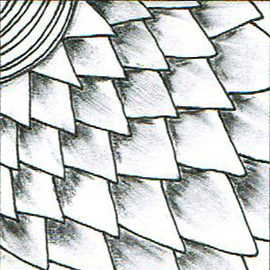 This entry was posted in Simple Zentangles on September 14, 2015 by Doodle Art Club.